World’s seven largest countries India is the impeccable land of varied landscapes and tremendous natural beauty to bring about the varieties of wild species. Keeping in mind about the natural conservation, India possesses nearly 100 national parks, and more than 60 authorized sanctuaries and biospheres. The land of the tigers, the first tiger reserve area under the project tiger and the first National Park in India, Corbett National Park is everyone’s delighted destination. The Himalayas and Terai area in Nainital and Pauri district is being flourished with wet and dry, plain and mountainous, gentle and rugged, forests and grasslands by a stretch of 1318.54 sq km. With 488 different species of flora, 586 species of av-faunas and about 89 species of faunas recorded to enjoy a great jungle safari experience; Corbett invites all for a sophisticated stay at its amazing resorts and lodges at its best time in mid Nov-mid June. 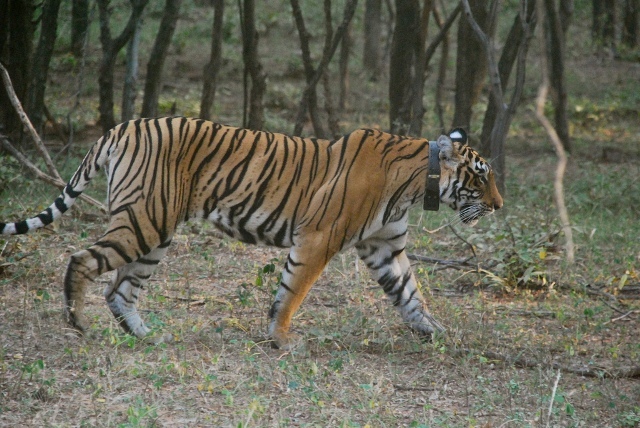 Rajasthan’s Sawai Madhopur, perfectly being termed as the tiger’s den and being recognized as the largest national park in northern India, the Ranthambore National Park is one of the project tiger reserves for the year 1973. Being known for its large tiger population, with an estimation of around 40 tigers in the area, the 1334 km² area brings a dense tropical dry forest with open bush land and rocky terrain. 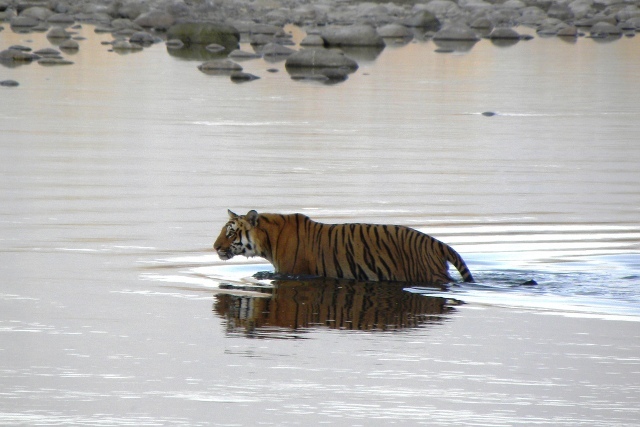 November to March has been found as the perfect timings to visit the Ranthambore Tiger Reserve for a wonderful tiger safari. Localizing around the Umaria district of Madhya Pradesh, Bandhavgarh tells the historical tale and reflects the pure glory of tiger tweaks out of the jungle. 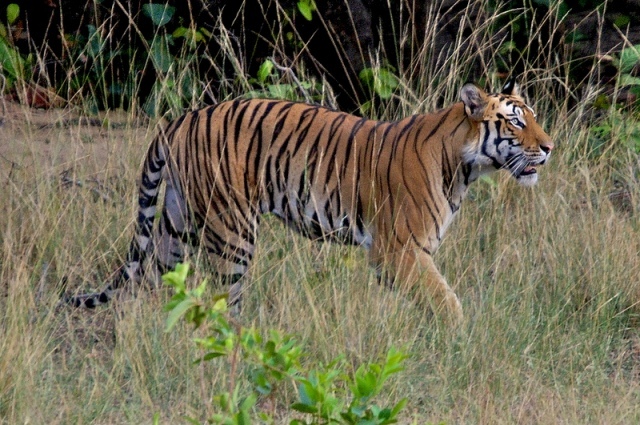 With highest density of tiger population at the Vindhya Hills, Bandhavgarh stretches along the area of 450 sq km and hosts the dominant species of the Bengal Tigers. Explore mixed vegetations to find tall grasslands and thick Sal forests during the best months of Feb- June at an altitude of 800 m above the sea level for amazing tiger tour. The land of tigers and Barasinghas (swamp deer) is best recognized as Kanha National Park in the Mandala and Balaghat district of Madhya Pradesh to flourish the central highlands of India. One of the finest wild reserves at an area of 940 sq km, Kanha Park populates the countless species of plants, birds, reptiles and insects. 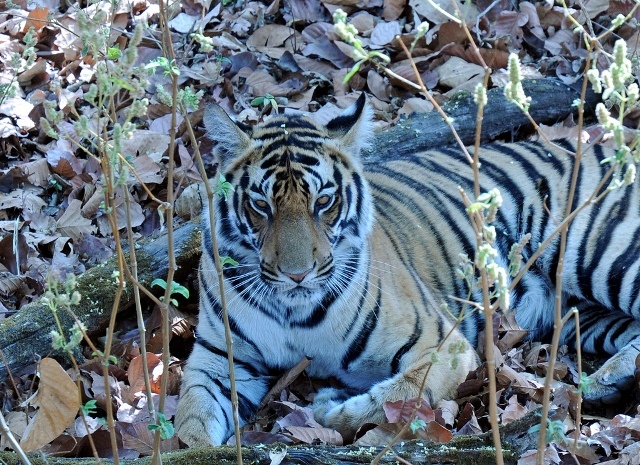 Flourishing the Maikal range of Satpuras, Kanha dwells in the central highlands inviting the wildlife lovers at the months of November to February for best safari tour. 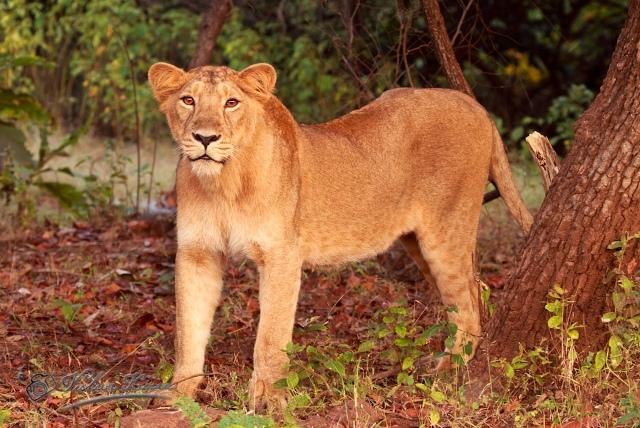 The land of Asiatic lions in Gujarat, the Sasan Gir is considered as one of the protected areas in India. Gir National Park that hosts around 400 counts of floras, 300 species of birds, 38 species of mammals, 37 species of reptiles and more than 2,000 species of insects, this princely state of Jungarh is filled with enthusiastic wildlife lovers all around the season. But the major season for visiting this park is between December to March.